Pervious pavement is much like traditional pavement. You can drive, park, or walk on it. 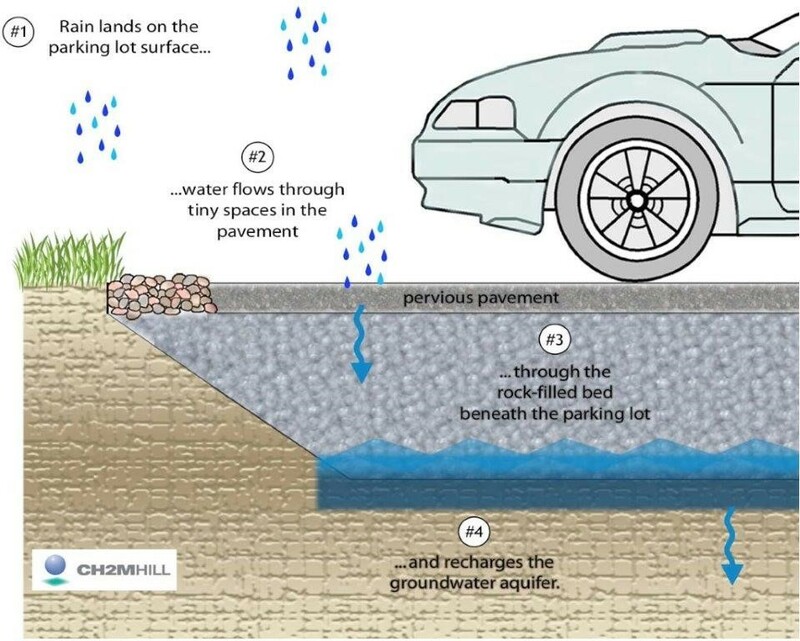 However, it is designed to capture and store rainwater, then filter it through the soil underneath. For benefits of pervious pavers click here! Replace your concrete with these permeable hardscapes! An Interlocking Concrete Pavement Institute (ICPI) certified contractor MUST install all pervious paver systems. Find an ICPI certified contractor here.